Military Nurses in Vietnam research papers examine the role of the nurse in the Vietnam War. Military nurses served in Vietnam in the vital role of providing aide to wounded soldiers. Research papers on the nurses in Vietnam illustrate that their duties extended far beyond what nurses in other wars experienced. 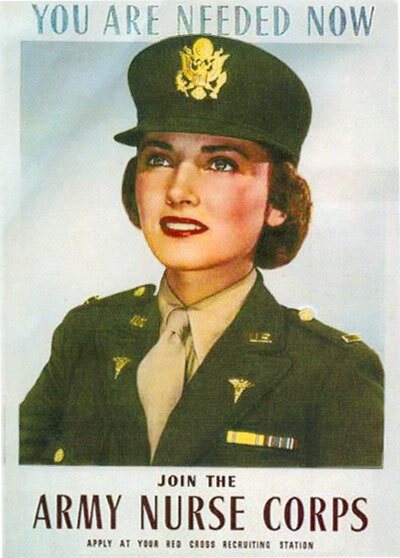 Paper Masters will custom write a detailed report on how nursing during war time and in a military branch was a unique experience and opportunity for women to participate in the US armed forces. The majority of enlisted women served in Vietnam as nurses most of whom were in the Army. Indeed, experienced nurses who enlisted to help the cause, joined the Army as it had a shorter wait period to be stationed in Vietnam than the other branches. The Navy and Air Force both required an eighteen-month wait and a special training program before sending its nurses abroad. The Marines did not have nurses. Five thousand Army nurses served in Vietnam working in field, surgical, evac and mobile Army Surgical (MASH) hospitals throughout the country. Two thousand Air Force nurses served in Vietnam by caring for wounded on evacuation flights to Japan, the Philippines or the U.S. They also worked in evac hospitals in Danang and Cam Ranh. The Navy used 500 nurses on its ships USS Repose and USS Sanctuary, which sailed up and down the coast of Vietnam between Danang and the Demilitarized Zone. Military nurses were given the rank of officer and served a one-year tour of duty working 12-hour shifts, six days per week. Although many nurses had prior experience or training before arriving in Vietnam, many others were recruited out of nursing school. Regardless of their experience however, all nurses were not adequately prepared for what they encountered in Vietnam. Technical advancements in medicine and efficient evacuation of wounded from the field saved many soldiers who would have died in the field in earlier wars. The result is that nurses in the Vietnam War saw more pain and death close up than most other people including the soldiers. Nurse treated wounds they had never before treated. Amputations were common, blast wounds were large enough to fit two arms, and burns penetrated through to the bone. They worked to cure diseases they were told people no longer contracted such as typhoid, malaria, dengue fever, and bubonic plague. They also treated a great deal of drug abuse victims. Despite the fact that doctors were scarce, only 1.2 percent of the soldiers that arrived at the hospital alive subsequently died which is a testament to the skill and effectiveness of the nurses. Malaria Treatment - Malaria Treatment research papers discuss the treatments used to cure the infectious disease of Malaria. The Black Death - The Black Death research papers cover the famous plague that covered the world in the 14th Century. Order a research paper on the Black Death from Paper Masters. Substance Abuse Treatment - Substance abuse treatment serves to provide care for individuals with alcohol or drug abuse problems. Clara Barton - Clara Barton Research Papers chronicle the life of this courageous woman, first as a teacher, and then as the first woman who held a significant role in the Federal Government, and etc. Effective Communication and Nursing - Effective Communication and Nursing research papers discuss topics that students writing on effective communication in nursing can include in their paper. Nursing - Nursing research papers look at the significant gains the nursing profession has had over several decades. Women in United States Marines - Women in Marines Research Papers deal with the role of women in armed forces over the years. Paper Masters writes custom research papers on Military Nurses in Vietnam and examine the role of the nurse in the Vietnam War.